For this month's Q & A, I'd like to share with you a great question a mother asked regarding how to talk about DS. How do you talk about Down Syndrome with people who talk about spectrums, and how do you turn the correct phrasing around for describing how Down Syndrome effects people individually? Every individual who has Down Syndrome is impacted in various ways. One of the most important things to remember: either way, that individual is still a person. Persons who have Down Syndrome are still students, brothers, sisters, children, aunts, uncles, etc, the list goes on. Not everyone who has DS live the same lives, and the symptoms vary from person to person. Even as someone who's been exposed to the DS community my entire life, I still catch myself with how to correctly and appropriately describe Down Syndrome. I believe your connotation is incredibly important, as the way you describe the community can have an impact on those who have no exposure to it. Remember, the wording that you use reflects your feelings for that individual, so stay away from words with negative connotations, like suffer. Those who have Down Syndrome are not suffering, nor are they victims. They are people just like you and me, and can still find and enjoy the beauty in life. There's a lot of debate among the special needs community regarding how to phrase the condition with the person. For example, if you Google how to describe someone on the Autistic Spectrum, there are debates between whether "my child is autistic," or "my child has autism" is more appropriate. A great article by Alex, who is on the autism spectrum, states that it's all up to the person. And it's true. No matter how you refer to someone in the special needs community, it's most important to respect how the individual wants to be referred as. I believe as long as you have a good intention, and are open to accepting and respecting how to talk about a person, then you're doing a great job. Even as Alex alludes, there will be people who are going to be offended no matter what you use. The most important thing to remember is to be respectful and follow the wishes of the person who you are describing. As for Down Syndrome, I don't mind if you say "with Down Syndrome," or "who has Down Syndrome." As long as you're using positive connotation and dropping anything that's negatively associated, I'm content with whichever. Lastly, Down Syndrome is not a spectrum. Each individual who has it is so different. It's best to describe someone appropriately to their own needs. When I talk about my brother, I let people know that he's a little more on the severe side of Down Syndrome in terms of his communication, as he is nonverbal. I always follow up that even though he's nonverbal, he's excellent at expressing his love and kindness towards others. As always, thanks for reading! Remember, please don't shy away from asking any questions-- always better to ask rather than sit in ignorance. And especially when it comes down to how to refer to someone. We got to meet Chopper the Biker Dog! So cool, you can check him out here. This past weekend, Carlsbad High School hosted the 2018 San Diego Regional Spring Games for Special Olympics Southern California. Our UC San Diego athletic teams volunteered for the event last Saturday, and it was an incredible experience. The athletes were all so inspirational to watch, and all had such great energy. Special Olympics Southern California enriches the lives of people with intellectual disabilities through sports, health, and leadership programs. Through the power of sports, athletes become more independent, build self-esteem, and live healthier lives. They inspire people to open their hearts and create more accepting and inclusive communities. All Special Olympics programs are free to the athletes and their families. Learn more at www.sosc.org. Some of the swimmers and one of my favorite coaches, Leslie, from Saint Madeleine Sophie's Center. Our group helped facilitate timing for the swim meet, and I had an incredible time getting to see some old familiar faces! A few years ago I taught swim lessons to children who have special needs at the St. Madeleine Sophie's Center, and it was an amazing experience. It was so humbling getting to watch your own swimmers improve their swimming ability while growing their love for the water. And even better to watch them still enjoying and loving the sport years later! You are all beyond wonderful. Many parents today are overwhelmed upon finding out that their child has Down Syndrome, due to the negative connotation revolving around the genetic disorder. That's why around 90% of mothers who find out that their unborn baby has DS end up getting abortions. Luckily, my mother didn't experience that technology, nor would she have made such a decision. Although she knew that her life would change forever, she's done an unbelievable job of stepping up and giving Michael the love and support that he needs. My Mama has done an immense amount of work to taking care of Michael-- from feeding him everyday, getting him ready for school in the morning (which is a HUGE challenge), and many others, she's done an amazing job looking over him and is an incredible inspiration for what she does with Michael. She's not afraid to take Michael out to let him see the world, and has never shown any evidence of regret for having a child like Michael. Instead, she proves how much of a blessing it is to have someone as special as my twin brother. Throughout the time I've had this blog, I have met an incredible number of mothers of little ones with a little something extra. And in them I see the same unique, never-ending love that my Mama also has for Michael. I am constantly inspired by the persistence of these mothers in showing the world the beauty of their DS children. These Mamas do an incredible job of raising their children to know that they are fully capable of leaving rich, fulfilling lives. To all of my DS Mamas, we love you and continue to be inspired by you. Happy Mothers Day! After a small dispute between my Mom and I a few minutes before, Michael's mood completely turned around. He refused to smile for a picture and his mood didn't improve for another 20 minutes, even though nothing was directed towards him. For this week's post, I wanted to include a very important subject that's prominent in Michael's life, and for some others who have Down Syndrome: sensory overload. I constantly write and talk about Michael's calm presence, and his annoyance in young, screaming children. What that really stems from is sensory overload. Our sensory integration system stems from how our senses interpret information from the surrounding environment. This information gets sent to the brain, where it is then processed, organized, and sent as signals to various regions in our body to appropriately respond to the original stimuli. With this in mind, we all interpret the world very different. And this couldn't be more true for the Down Syndrome population. Issues with sensory integration can make someone react completely differently to situations. What some may think are behavioral issues, may actually stem from sensory overload. Not everyone with Down Syndrome may experience this, but for someone like Michael, his body becomes overwhelmed with emotional auditory stimuli. Oftentimes, Michael enjoys certain loud sounds. He loves listening to music loudly, and sometimes I'll catch him putting his toy trash-truck up to his ear while it's playing music. But start having an argument around him, and it's game-over. Even if rude comments, crying (especially from babies or children), or yelling aren't directed at him, he will take everything personally. He immediately gets upset and starts panicking. He'll often start grunting and whining, and if it's really bad, will start hitting himself in the head. Because of this, we're very cautious about bringing Michael to environments where there may be small children. If a baby's crying around Michael, he immediately gets upset, and we have to leave immediately. Thus, it's incredibly important to consider how you are behaving around someone who has special needs, and to be understanding of how they may react to your behavior. Not everything may be intended to come off negatively, but may just be a result of an issue with sensory processing. Twenty-two years ago, on April 26th, 1996, my mother’s excitement after successfully giving birth to twins dwindled at my father’s words—“Our new baby Michael has Down Syndrome.” Her heart fell immediately. She kept on questioning herself, “why is one child sick and the other healthy?” Little did my mother understand how much of an impact my twin brother, Michael, would have on our family’s lives. For this week's post, I was asked to share my recommendations on coping with a Down Syndrome Diagnosis. As a heads up, I myself have not experienced having children, or have had to hear a Down Syndrome Diagnosis first-hand. However, I hope that the perspective I share can help other flustered mothers who are still wrapping their heads around their baby's recent diagnosis. Especially for mothers who already have other children, I'm confidently writing this as a reassurance that those kids will be amazing siblings to the baby with DS. Growing up, Michael became my best friend and companion. Although he lacks the ability to speak, we would play for hours every day, enjoying each other’s company. I learned acceptance at a very young age—it never bothered me when Michael would cause a commotion while in public, or that he cannot effectively communicate. My parents explained to me what Down Syndrome is and how severely it affected Michael, but I did not mind. As a child, I still viewed Michael as a normal human being just like everyone else. I never questioned angrily why my brother had to be different. I simply understood. This state of innocence persisted as I grew older, and my love for him grew as well. Michael has easily taught me hard work, responsibility, respect, patience, and much more. Growing up, I would always tell my parents that I would become a doctor and cure Down Syndrome. Little to my knowledge back then, there was a solution-- abortion. And I cannot be more grateful for my experience growing up with Michael. As I grew older, I started realizing how essential the Down Syndrome community is for our society. I've constantly asked myself over the past few years after I have created my blog, "What is so important about Down Syndrome?" And it goes more than just the fact that people with Down Syndrome are "happier." Because they're not always happy. Those with Down Syndrome are just like you or me. They experience various emotions, but may just express them differently depending on their communication level. I continuously seek for the beauty behind Down syndrome and why it's important to keep the DS community. Something that I've fallen in love with is the genuine kindness radiating from these individuals. Although Michael may not be able to speak, he's completely fluent in a more important language-- the language of love. Michael demonstrates the same affection to everyone, no matter their race, gender, sexual orientation, religion, etc. And that's more of the attitude that this world needs. I am constantly inspired by the Down Syndrome community in their genuineness towards other people. Michael excels at demonstrating his affection towards others, and I know that he's not alone. Experiencing the world while living with someone like Michael reminds you to fully appreciate what you've been given in life, and to look at people with a more open perspective. I have created this blog as a resource for the general community to get a glimpse in the life of someone with Down Syndrome. For mothers who are still coping with their diagnosis, I recommend looking through my blog. And not just at my own blog posts, but the posts that I have shared from others as well. In Guest Waves, I have included the stories of others who share how their lives have been impacted by someone in the disability community. In Other Waves, I have included other incredible websites that share the same goal as us. Each of them have impacted our community through sharing their own beautiful stories, and educating other members who may not be affiliated with our special community. Lastly, in Resources, I am continuously seeking various organizations to include that may be of help for other families with loved ones in the special needs community. For this week's post I wanted to talk about how to approach another individual who's part of the differently "abled" community. Since I've grown up with Michael my whole life, it's always been natural for me to approach another individual without hesitation. However, I've noticed that even some of my closest friends struggle with approaching Michael, so thought I'd write about ways to make it easier. I know some people get really intimidated and aren't sure what to do, but Michael definitely notices if you ignore him. Others like Michael can tell if you're uneasy and uncomfortable, and there's honestly no reason to be! Even if you don't get a response that you expect, it's always really touching to see any form of effort put in. Something I absolutely adore and love about Michael is his kind, loving, nondiscriminatory personality. Michael couldn't care less about your gender, sexual orientation, race, etc. If whoever approaches Michael in a friendly manner, he will always reciprocate back. I continue to be inspired through his language of love, and his behavior towards others is what I find one of the most important aspects about keeping and supporting the Down Syndrome Community. Check out the awesome new book written by our friend Dawn from Cedar's Story! Hello everyone! Hope all is well. If you haven't seen already, our friends over at Cedar's Story have published a new book. What makes this book even more special, is that it features beautiful photos of children with Down Syndrome! 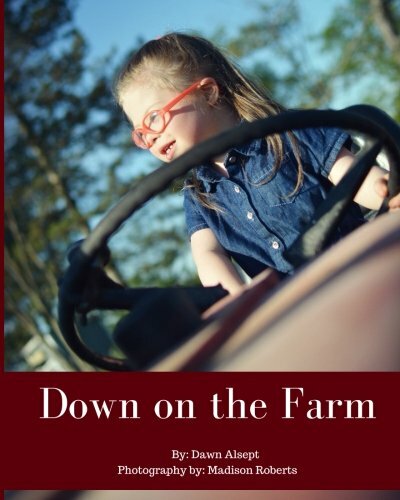 "I was inspired to write the book when I began looking for children's books relating to Down Syndrome. I found just a couple that had actual photos and they were board books. Then I found a number of books describing what Down Syndrome was, but that was not what I wanted. I just wanted books for my son with beautiful pictures of other children who looked like him. I had a series of books when I was a child that showed children having adventures with their farm animals and I loved those books. They were so neat to me because I did not live on a farm so I could imagine myself having all of the same adventures as those children were having. But then I thought, wait, there aren't any books like that for my son, Cedar, that is when I decided to create one." We are so excited to see the impact that this book may have on changing perceptions about the Down Syndrome community! We especially love that Michael loves looking through the book, and seeing other children that look like him having a blast :) Michael loves reading the same books over and over again, so it's exciting to add another one to his collection! Go ahead and get your own copy with the link below!! **the link below is an affiliate link, meaning that I receive a small commission if you make a purchase using the link on my page. It won't change the cost of the product, and helps support Beyond the Waves, so thank you! Hello everyone, Happy World Down Syndrome Awareness day! Growing up, it always made sense to me that Michael was a little different. My mom would always tell me that Michael has Down Syndrome and that he would be different from other children, and I simply understood. I understood that Michael may have different needs than other people, that he couldn't talk to me, that he would always need extra attention. And yet, once I began school at UC San Diego, there were still students who would ask me "what's Down Syndrome?" Three years ago I couldn't believe that someone attending such a high-level institution that had no idea what would result from having an extra chromosome. I'm forever grateful for that experience, because it made me realize that something needs to change. If a student at my own school wasn't aware of Down Syndrome, then how many others are there out there that have no idea? We need change, not just increasing awareness regarding Down Syndrome, but to ameliorate the stigma behind the special needs community. Did you know, that according to the U.S. Center for Disease Control and Prevention, about 67-85% of fetuses in the United States and Europe are aborted after prenatal screening for Down Syndrome? In most of these cases, they are due to a lack of understanding regarding the DS community. If it weren't for Michael, I very well too could have had the same outlook. And with that, I created this blog. I'm incredibly humbled and appreciative by all of the support that we have received and the incredible people that we have met. I look forward to expanding this blog and allowing other people to get a glimpse of our story. Whenever you're next to Michael, you can immediately feel his calm, loving presence that's far from judgmental. Michael demonstrates the same affection to everyone, no matter their race, gender, sexual orientation, religion, etc. Unless if you're loud and obnoxious (Michael hates noisy things like kids screaming) Michael approaches everyone with the same manner. Although Michael may not be able to speak, he's completely fluent in a more important language-- the language of love. Michael excels at demonstrating his affection towards others, and I know that he's not alone. Experiencing life while living with someone like Michael reminds you to fully appreciate what you've been given in life, and to look at people with a more open perspective. 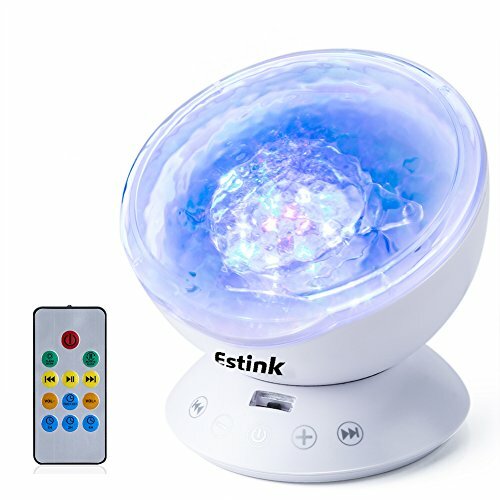 So I found a promotion on Instagram a couple weeks ago for an ocean-wave night light. I figured it'd be something Michael would like, since he loves to sit in the dark and watch his trash-truck lights go off with the music. I did some snooping on Amazon and found one, and I'm SO excited that I bought it-- Michael absolutely loves it! Michael really enjoys it since it's so calming and reminds him of the ocean. Below I've listed a couple of pros and cons that I've found, but overall am so happy that I bought it. It also plays music! It has 4 built-in nature sounds, which are all really soothing and Michael really enjoyed them. If you don't want to listen to them, you can just turn the sound off, or connect your own device via aux cord and play your own music!